Just arrived in Japan and on the train headed towards Narita. Tired from the flight, but excited to attend Tito Kenji’s welcome dinner! It’s that time of the year again! Every time I come to Japan there is always something new and exciting to be discovered and I am eager to share this trip with everyone. Thank you so much to everyone who has followed my blog over the years. It brings me a great sense of fulfillment knowing several people are enjoying my blog. 🙂 Please don’t be shy to leave a comment! 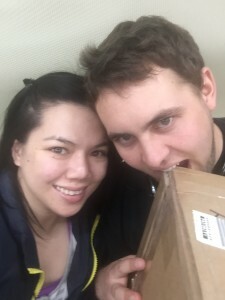 Devin and I are scheduled to be in Japan for 12 days, and while it may sound like a long time, the first few days alone has given us the sense that there are just too many things to do while we are here! We arrived on the afternoon of the 31st and quickly made our way to Narita to check into our hotel. That night would be the welcome dinner for Tani Fish Farm’s Annual Spring event and there was no way we would miss the chance to greet everyone and enjoy dinner together. After a quick shower, we headed over to the banquet hall where we met up with my parents who had arrived in Japan an hour before we did. This year, Kenji Tani held a grow-out contest event that was open to everyone around the world. It was judged the week before and the welcome dinner would also serve as the venue for the awarding ceremonies for the contest. As many of you know, Devin is quite fluent in speaking Japanese, and despite there being a few English-speaking Japanese people present at any event, as long as Devin is around he becomes the official translator for any announcement that has to be made. The events of Tito Kenji always involves having non-Japanese speaking guests present, and in between speeches, Devin was suddenly called up onstage to translate for everyone what was being said as the awards were being presented. 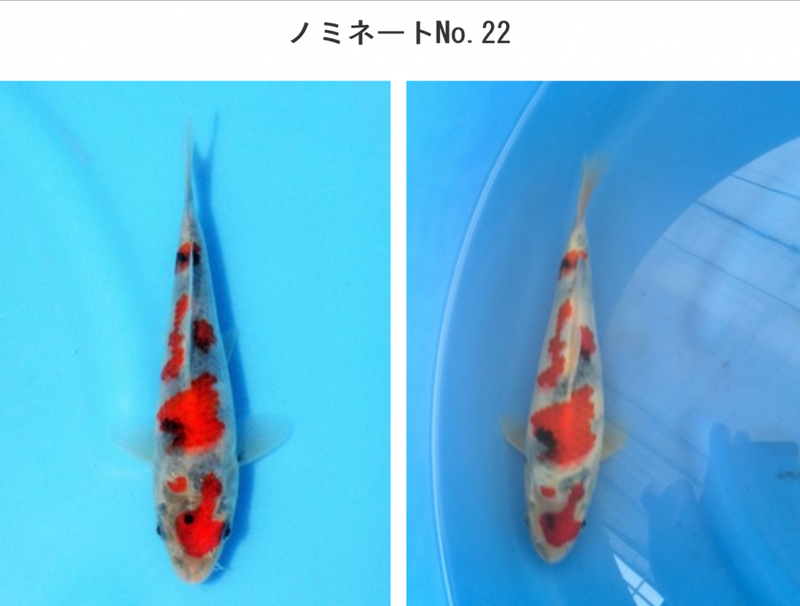 It was interesting to find out that while there were 16 other bidders for the Grand Champion Koi, there was only one bidder each for the second place and third place winning Koi. 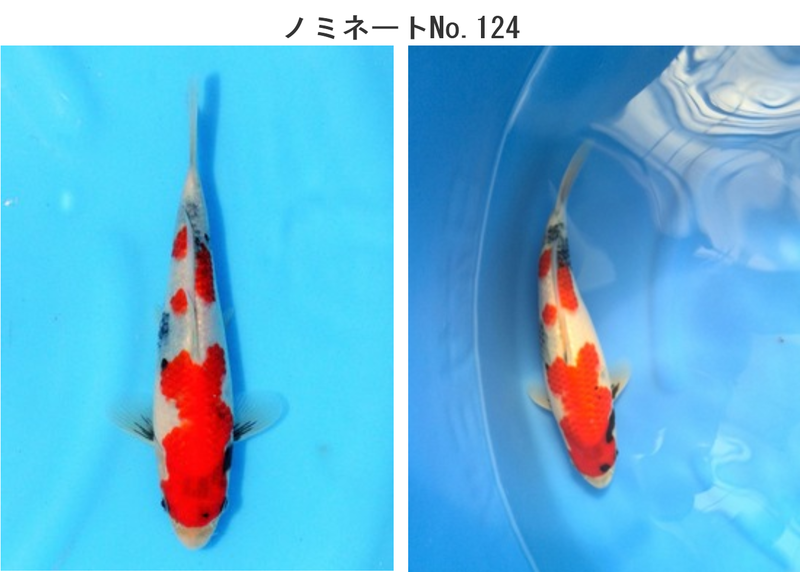 The Grand Champion Koi is owned by a foreign hobbyist, while the second place and third place Koi are owned by Japanese hobbyists. 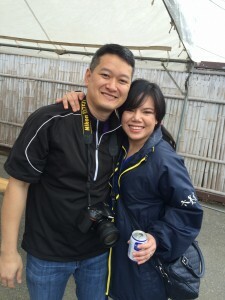 With all of the excitement from the news, Devin and I together with my parents got a little bit of a later start to the day and arrived at Tani Fish Farm at 10 in the morning. 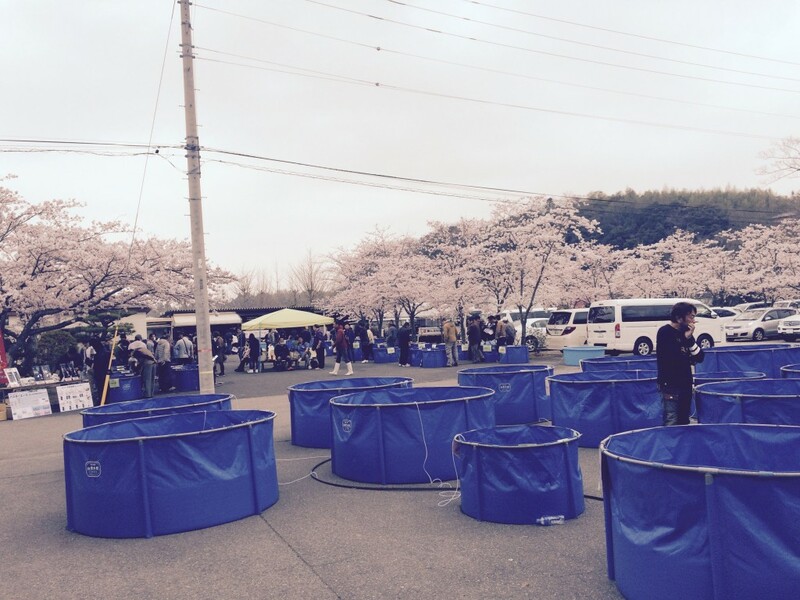 Once again, it was perfect timing as the Sakura trees were all in full bloom around his farm, just like they were the year before at the same event. The whole place was bustling with activity, as Devin and I headed towards the auction fish tanks to check them out. As we were hanging around there, a familiar face that I had not seen in years greeted us. After lunch, all the guests filed into the auction tent and got ready to claim the winning bid for their intended Koi. Auctions are quite interesting because one never really quite knows what they are going to get. In some ways, it is a lot like Koi shows where everything really depends on what kind of Koi arrive and who the players are. 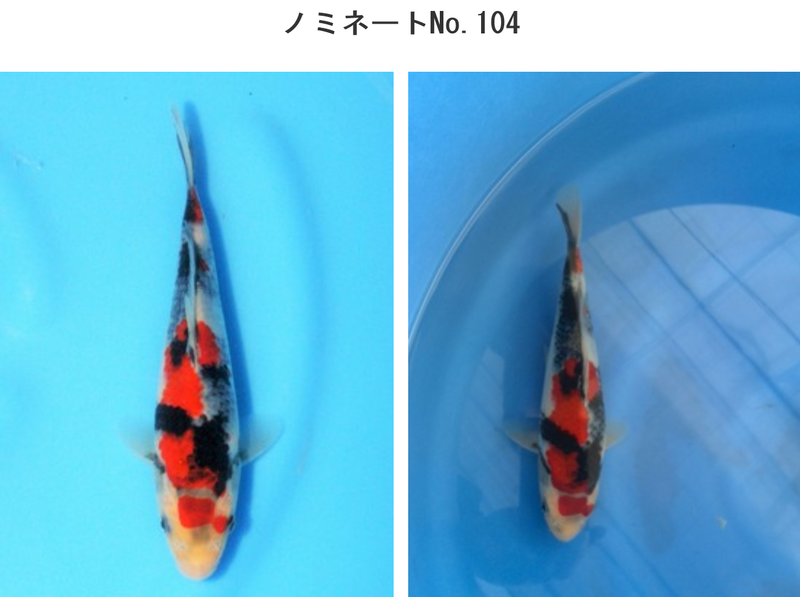 So many things go into bidding at auction and it’s very important that you keep your eyes peeled not only for the Koi that you are intending to bid on, but also on the Koi that may or may not be going for a steal. Tito Kenji’s event was a one day affair and after the auction had closed and the paperwork for all the purchased fish had been arranged, Devin and I headed for the train station so we could get to Niigata for dinner. The trip was off to a great start!